Jokiletho, J. (1986). 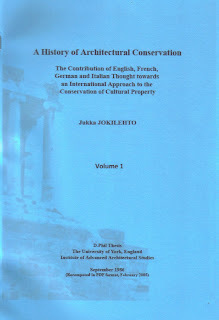 A History of Architectural Conservation. D. Phil Thesis, The University of York, England.